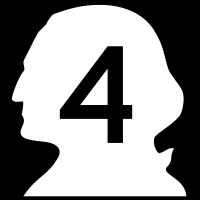 On Saturday, April 5, 2008, we drove the length of Highway 4. Up the Columbia River from near the mouth to Kelso. A short 62 mile drive through a very organic corner of our evergreen state. 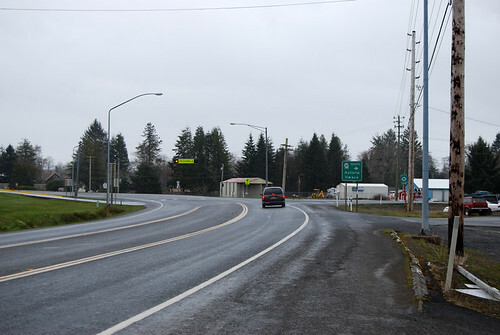 The west end of Highway 4, at US 101 somewhere between South Bend and Long Beach. They say it's called Johnson's Landing, but it's not labeled as such on any map. In fact, this junction isn't labeled as anything on any map. 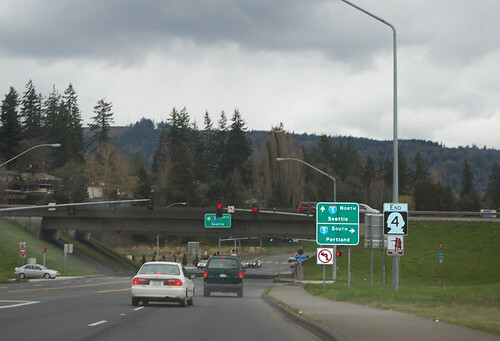 US 101 comes in from the west and then takes a left. If you're not careful, you might go straight here and wind up driving all the way to Kelso. . . like we did. 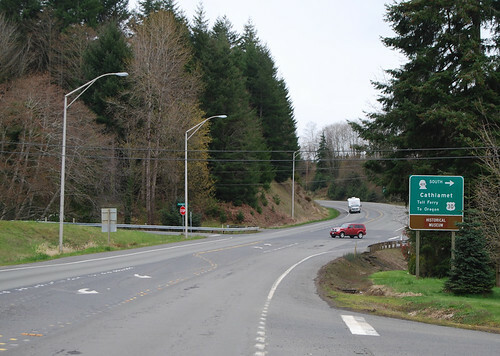 A few miles up the Naselle River, there's the turnoff for Astoria, SR 401, a way back to US 101. 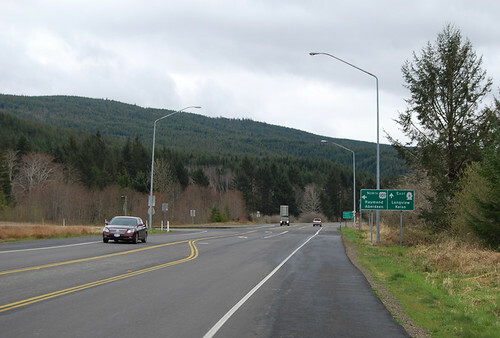 Up the hill from Cathlamet, the junction with SR 409. It'll get you to Oregon, too. 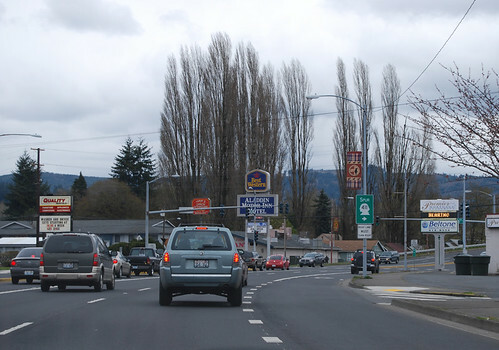 After a pleasant drive alongside the Columbia River, we arrive on the outskirts of Longview. This is SR 432. You can take it to get to Oregon, if you'd like. . . . That seems to be a common theme when you're this close to the state line. 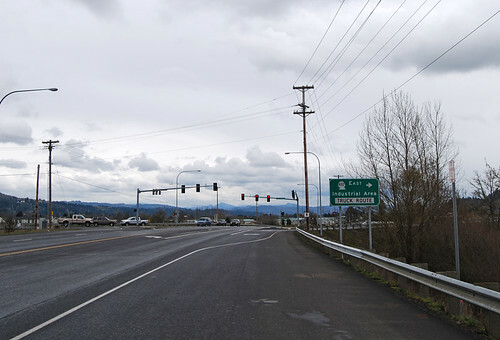 In Longview, just before the bridge over the Cowlitz River to Kelso, we come across SR 411 -- or at least the spur to the SR 411 mainline. And thus, the end of SR 4. Read the sign. So sad. 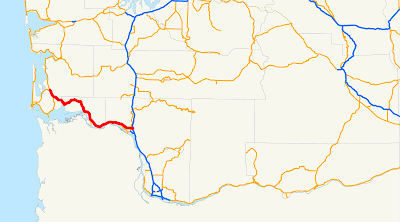 But you can take I-5 to Seattle or Portland, if you like. We chose neither. . . I love the maps. Glad you found them and posted them.